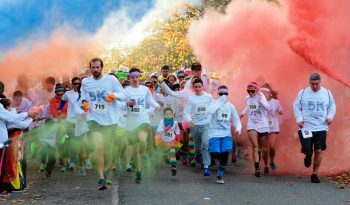 : A countdown and color blasters marked the start of the Chester County Color 5K with more than 900 participants. Chester County residents of all ages came out to Everhart Park, and ran and walked the streets of West Chester Borough to raise funds to help fight the opioid and heroin crisis in the county. Photo by Benni Grigoli. WEST CHESTER — More than 1,000 race participants and supporters of all ages came together in Everhart Park in West Chester on Saturday morning, Nov. 4 at the start of the Chester County Color 5K, a color run and walk benefiting programs that will combat the opioid and heroin crisis in Chester County. 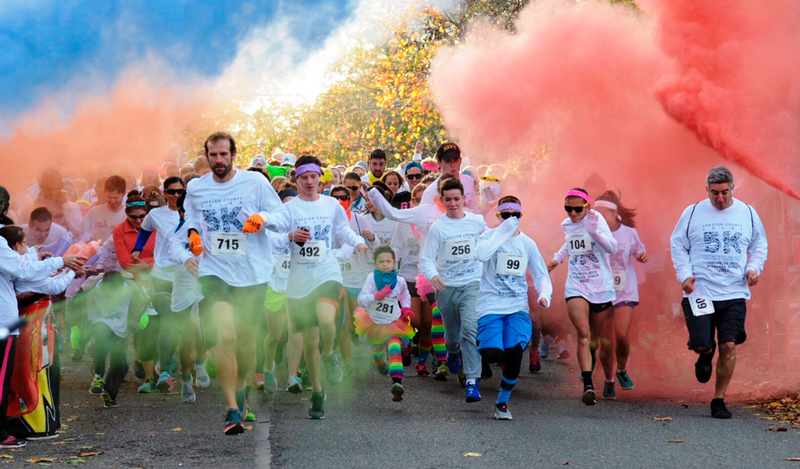 The Chester County Commissioners, District Attorney, the Department of Drug & Alcohol Services and the Health Department hosted the Color 5K, run through the streets of West Chester Borough on Saturday morning. The event raised tens of thousands of dollars to support the County’s new program, Community Outreach and Prevention Education, or COPE, that will address all aspects of substance abuse addiction. 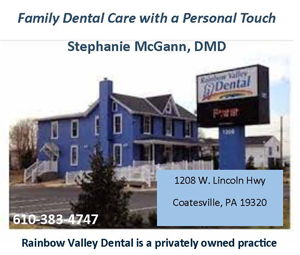 COPE is borne out of the Chester County Overdose Prevention Task Force and will provide one-to-one support for overdose survivors and their families and friends; provide overdose prevention information and outreach to first responders, hospital staff, family members and friends; and importantly, provide expedited admission into detox and a review of all treatment options for overdose survivors who agree to treatment. In her comments to everyone before yesterday’s Color 5K, Chester County Commissioners’ Chair Michelle Kichline said, “Chester County has already lost 103 lives in the first nine months of this year to accidental overdose. For many of us here that is so much more than a number. It’s personal…it’s tragic…and it hurts. Before and after the race, a special banner was available for all participants to sign, noting that Chester County “Remembers those who have lost, or who are still battling the disease of addiction.” For many who signed, it was a personal memorial to loved ones. Color blasters marked the start of the Chester County Color 5K and color stations along the route doused participants with brightly colored cornstarch.